TrimTRAK -GPS - TRIMtrak - GPS - TrimTRAK -GPS - TRIMtrack - GPS - TrimTRAK - GPS - trimTRACK -GPS - TrimTRAK Ultra Advanced Now With Multiple Mapping Sources And Satellite Photos! -TrimTRACK Ultra! Now With Multiple Mapping Sources And Satellite Photo Access! Puts You In The Driver's Seat Because YOU Control The Unit Settings From Your Live Internet Account! 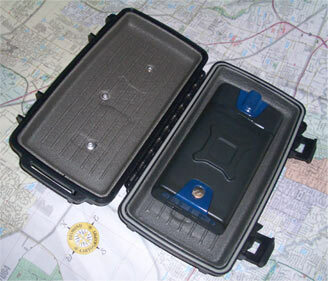 They Might Look The Same But..
Trimtrak is the most advanced GPS surveillance tracker to be developed for 2007. It puts you in control of the situation and gives you instant controls you access from internet. 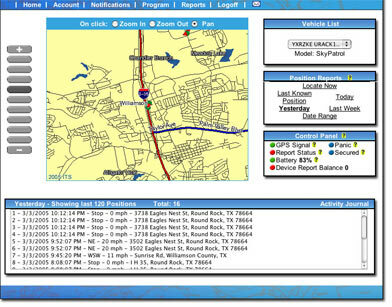 You can sit in your office or car and track a moving vehicle through our new state-of-the-art UTrack online web site! This state-of-the-art GPS car tracker makes all other car trackers obsolete! With Trimtrack, there are no more complicated wires, external battery packs or external antenna mountings to fool around with! Everything that makes the unit work is built into one very small light weight box. This tiny unit measures only 5 1/4 inches long by 2 1/2 inches wide by 1 inch deep and it's weight is less than 4 ounces. 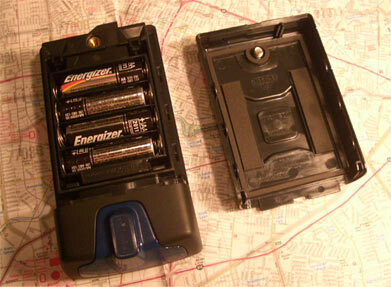 It runs on 4 standard AA batteries that install right into the unit. Because Trimtrak has a built-in motion detector, it only activates when the unit detects motion (the car starts moving!) unless you use your online controls to ping it. Normal use will make the batteries last a month or longer under normal vehicle use. Your online controls put you in control and will even inform you about how much battery power you have on the unit so you can plan days ahead if the unit's batteries need to be replaced soon. Of course, if you prefer a permanent installation, connection assembly with battery back up is also available. Can Zoom In On The Map With One Click Of The Mouse! The Ability To Access Multiple Online Mapping Sources And Instant Satellite Photos! 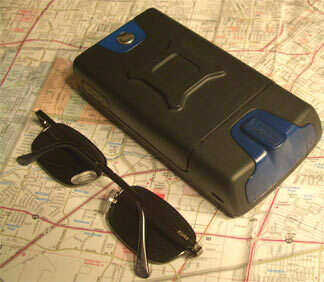 For Any Location You Obtain With Your Tracker! While some trackers like this one have to have controls on the unit preset before you get it, our top software and web site lets you determine how often you want the unit to report and it's very easy to use. You can use a magnetic mount battery pack or use our Velcro strips to place the unit on a vehicle. There are no hanging antennas as they are built into the unit and the unit runs on it's own self-contained AA batteries. To conserve battery power, the unit has a built in motion detector so it only fires up and reports when it detects motion unless you go online and ask for a location report right now. Since the unit powers down when no motion is detected, the batteries can last for weeks depending on how much the vehicle is driven. Advanced Gives You An Online Edge With The Online Controls You Need! As the user, you select the way you want TrimTrak to report to you. Remember, TrimTrak has a built in motion detector so the unit wakes up when motion is detected. You can set the unit to report a location Every Two Hours, Every Hour, Every 30 Minutes, Every 15 minutes or custom set it to report to you down to every five minutes. You can even hit "locate now" which tells the system to provide a location report right now. 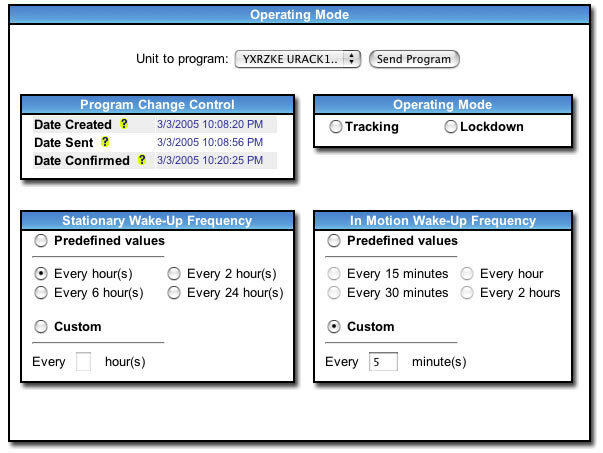 You can set the unit to tracking mode or lock down mode. When vehicle is stationary, you can set it to report at various times. All of these controls almost puts you right in the driver's seat remotely right off the web. Not only that, you can change the control settings any time you want to! time/date-speed-heading-address-battery power remaining-number of satellites used to obtain location. You can select the range of times and dates to give you as much of a log or as little of a log as you want. gives you the ability to collect and do all this! It's easy, simple and fast! The advanced report logs give you date, time, location, address, speed, heading, battery and number of satellites used to calculate the location. You can view and download report logs and activity journals and set them up in various ways. You can select days, dates and time for the report. You can view them online and also download your reports and logs in Microsoft Excel, plain text, or SCV. You get the maps, log reports and all the data you need quickly and easily right off your own Internet account. The Exclusive Magnetic Mount Box Gives You Easy Instant Install Placement! Installs In Seconds With Your Choice Of Multi-Functional Installing Methods And Places! Just like we put you in control on how and when your TrimTrak Ultra reports to you with your own online controls, we also put YOU in control of how you want your TrimTrak Ultra installed on a vehicle. You can use a velcro package to install the unit on any vehicle. If you prefer, you can also obtain a magnetic mount housing for the unit. The reason the velcro attachment use is good is because many vehicles these days, especially luxury vehicles, have fiberglass and plastic bumpers and fenders on them. If the insides of these places on a vehicle are made of plastic and/or fiberglass, you can not place a magnetic mount there and are very limited in your placement location with a magnetic mount box. We have solved that problem with our Velcro method of placement. Your best bet is to have both the velcro method and the magnetic mount method for easy and quick installs on any type of vehicle! 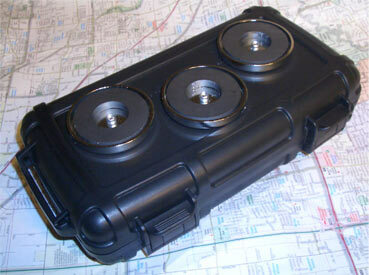 The unit is small enough to stick into most glove boxes, under a seat or in the trunk if you prefer to do it that way. You can also use the velcro material to quickly place it under plastic and fiberglass bumpers and fenders or use it with the magnetic mount to quickly install it under the vehicle. Not only does TrimTRAK Ultra cost hundreds of dollars less than any like unit on the market, it's online charges make it economical to use. Your complete web site where you obtain maps, reports and control the settings on the unit is only $20.00 a month. There is an economical pinging charge that works much like your cell phone charges. Because the web site is so easy to use and the unit is so easy to install, anyone can use Trimtrak Ultra . Once you have your unit, it only takes a few minutes to learn how to use your online web site controls. With TrimTrak you are the one in control of how the data from the unit comes to you from your own online live internet connection and account. You are also the one on control of how the vehicle is installed on the vehicle. Get The Ultra Advanced Advantage! All Trimtraks Are NOT The Same! The boxes look the same as they all come from the same place but these are not completed products. There are already others who have upgraded their junior unit to obtain the advanced one and take advantage of all the advanced features. Remember, this is the The TrimTRAK Ultra Advanced Unit. The difference is inside the box and on the backend which makes all the difference in the world! First of all, on the cheaper non-advanced units, the ping rate is pre-set to five minutes and it can NOT be changed by you. The Ultra Advanced Unit puts YOU in control and lets you change the ping rate from your own web site account whenever you want to! Secondly, with the TrimTRAK Ultra Advanced Unit from Utrak, Inc. you have the ability to link it to multiple online mapping programs and even obtain matching satellite photos of the location reports! Why use just one source when you can get many? 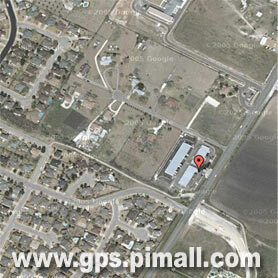 Think of how impressed your clients will be when you can input both maps and satellite photos into your reports! with it's advanced user-in-control web account access, you need to first purchase a unit retail. After that, we can get you set up as a dealer in your area to sell or rent Utrak, Inc. GPS trackers with very attractive wholesale pricing. The wholesale dealership is NOT offered to anyone other than those who already have a Trimtrack Ultra and have the unit activated as we only want dealers who know the system from first hand experience and have an active live unit in their possession. And Puts YOU In Control! Get TrimTRACK Ultra Advanced! 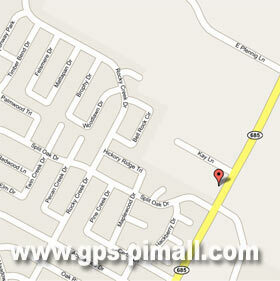 TrimTRAK ULTRA ADVANCED GPS CAR TRACKER FOR 2006! 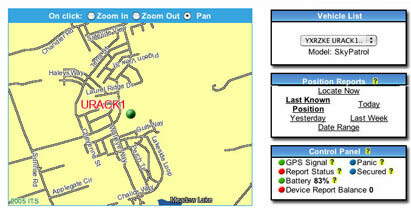 State-Of-The-Art GPS Car tracker To Track A Vehicle On The Internet Right Now! Copyright: 2008, TIPI All Rights Reserved. including page titles and/or in your meta tags. If you wish to become an authorized dealer of Utrak, Inc. products, contact us. TrimTRAK Ultra Advanced Now With Multiple Mapping Sources And Satellite Photos! -TrimTRACK Ultra!